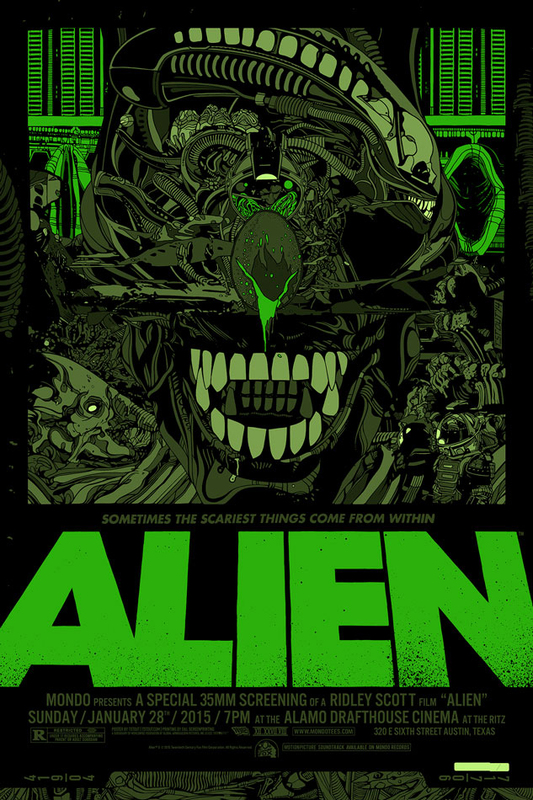 MONDO will release these Alien posters by Tyler Stout on Friday January 30. 2015 at a random time. Both posters measure 24 x 36. The red regular is an edition of 510 and costs $60. The green variant is an edition of 235 and costs $110. 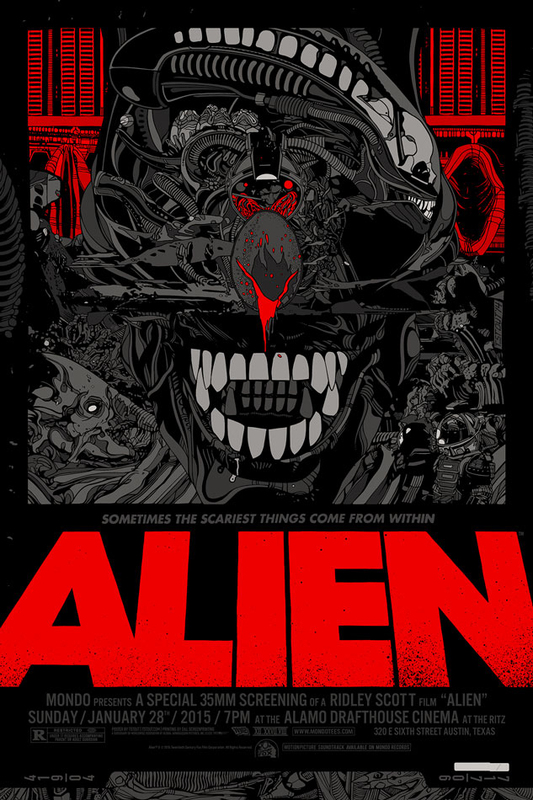 Please follow @MondoNews for the release announcement.